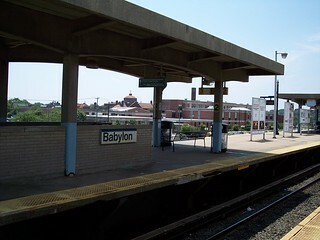 The view of the station from the parking lot. 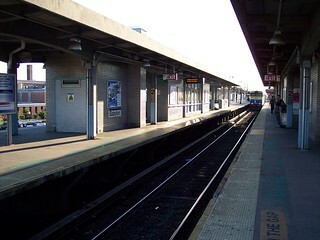 The station building sits under the tracks. 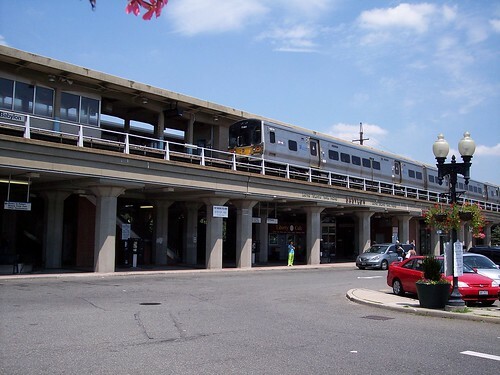 Many of our trips started or ended here when we rode both the Montauk and Babylon Branches. 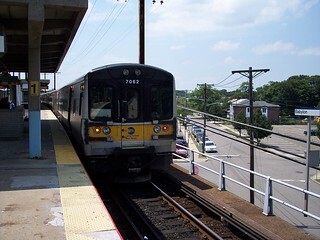 Our train from Patchogue exits the station on the left. On the right, our train to Jamaica waits to depart.